Last month I did all three in one night, I was on a date with a guy who I did not care for too much. We went to Patron which is a Mexican chain restaurant, the food is okay (depending on what you get) but the drinks are out of this world. “The Small Business Shopping & Fashion Soirée” is a gathering-event where small businesses from beauty, fashion, media and entertainment industries come together for free manicures, free mini makeovers, complimentary curls and hair tips, fashion and live performances. This event is also great for networking. Below is a more information about the event. 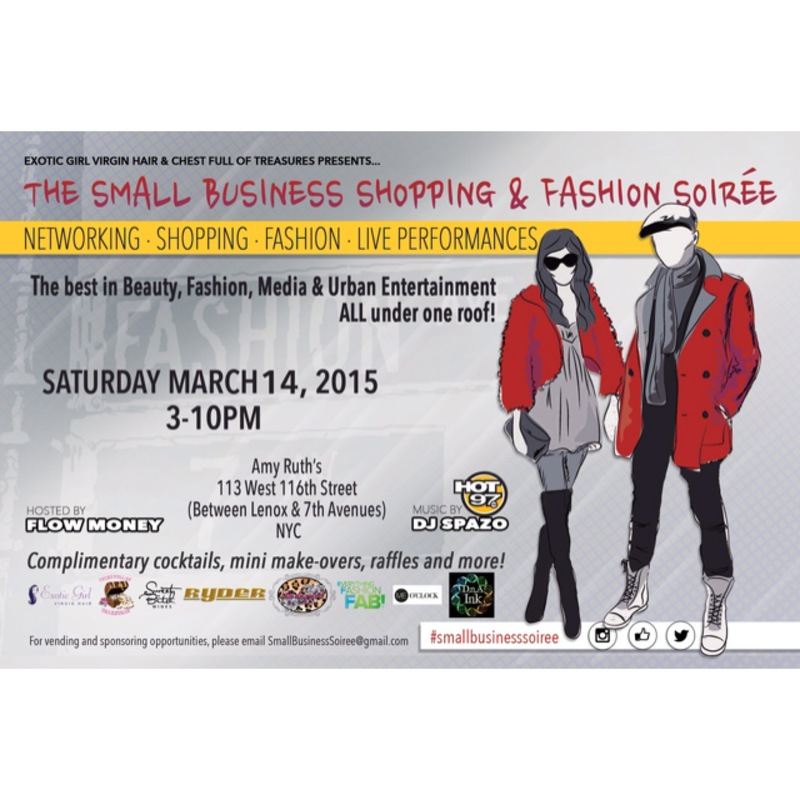 If you want more information about this event please e-mail smallbusinesssoiree@gmail.com Hope to see you there!